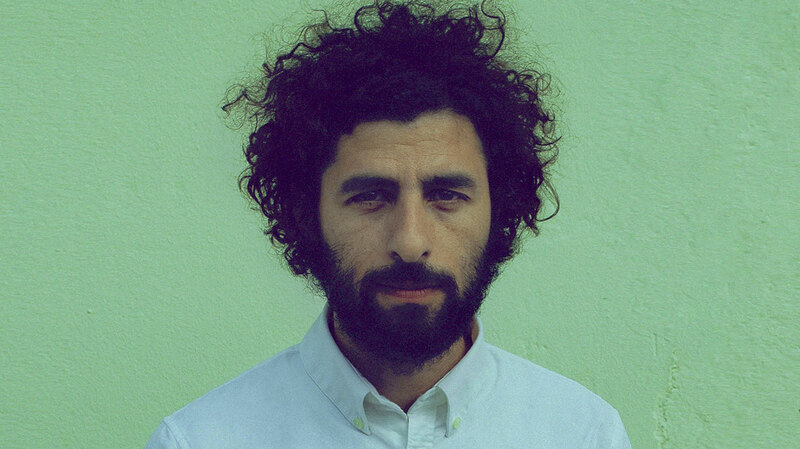 Seven years on from In Our Nature, José González is back with the long-awaited follow-up. We caught up with the Swedish singer-songwriter to find out more about Vestiges and Claws, an album that's been billed as the concluding part of an acoustic trilogy. It’s been seven years since your last solo album. Did you intend to take such a lengthy break? Not really. I did the Junip album, Fields, and we toured with that and then when it was time to decide what to do next it felt natural to continue with Junip, so we did. And I think with me being slow at writing albums in general, that meant seven years. Were you fatigued with the solo work, or was it purely about doing something different? Yeah, [it was] just the idea of trying out something with a band and then coming back properly. I did spend some time once in a while during the years to focus on this album, gathering demos and ideas. So when I actually got started in 2014, it then it went pretty quickly compared to my other albums. As well as the Junip records, and you’ve also worked on the Göteborg String Theory project, and on the soundtrack for ‘The Secret Life of Walter Mitty’. Yeah, both the orchestra and the movie were good opportunities to try other stuff out and to work with other people. So with the orchestra there were other people who did the arrangements, and I just needed to show up and play. And with the film I collaborated with Theodore Shapiro who made most of the music, and I was able to do my humming and my guitar parts and just go along for a ride. 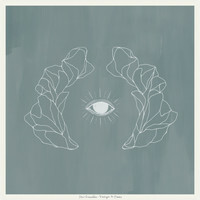 Do you ever feel confined by people’s expectations of what a José González record should sound like? Not in a big way, actually. With this album I thought I wanted to continue what I’d started with the two first albums. I’ve had an idea of focussing on guitar, vocals and percussion, and I’ve found a style that I really like myself. I guess the expectations from other people are more along the lines of what type of covers I’ve been choosing lately, and these sort of questions, but I really don’t spend much time thinking about them. We actually decided not to do covers for the first Junip album, and since then it’s been tradition not to do covers on the albums. Is there anything that you have taken away from those different projects that you have fed into Vestiges and Claws? Yeah, I feel like I’m more comfortable than ever doing production and using other instruments. I’m now more aware of how you can build a song using production tricks, and also musically I feel more comfortable on how to change the harmonies. I think that’s something that people might not notice on this album because it is so similar to the first two, but for myself I really feel that it has been easier to write. With songs like ‘Stories We Build, Stories We Tell’, and ‘Every Age’ I’ve been exploring a bit more, and it’s been fun. What was the starting point for Vestiges and Claws, creatively? I had a collection of demos and riffs and ideas that I had been doing throughout these years, and I had the song ‘Open Book’ and the song ‘The Forest’, which felt like good starting points for an album. I felt like those two songs were classical, especially ‘Open Book’ which has got this classical folk style. So yeah, those two songs and also lyrics for ‘Stories We Build...’ and ‘Afterglow’, and then later I wrote the song ‘Leaf Off / The Cave’ that are a bit more upbeat and more different than my earlier songs. I felt comfortable with a mixture of songs this time. Despite working with quite a sparse musical palette, there’s a really interesting use of texture on the album. Yeah, with the first two albums I wanted songs that I could play on my own with just one guitar, and with this album I did that for many songs but there were a couple songs that needed something extra. So that is when I started adding more vocals, more guitar and more percussion than usual. At the same time, as you mention, the production is sparse so I didn’t want to have synthesisers or electronic beats or electric guitars or cymbals. I feel like there is a certain type of music that I enjoy recording and playing, so by limiting myself in that way I was still able to have all the harmonies I wanted and enough freedom by just using the percussion, claps, guitar and shakers. Style-wise, I feel like I’m working with a style that I don’t hear that often, and that I miss when I’m listening to new music; there’s a certain style of production that is more common than others, and I wanted mine to stand out. And you’ve self-produced again. Did you collaborate with anyone else on the record? It’s all me except for one flute. Other than that, I recorded and wrote everything on my own and mixed it myself. Was there a particular message that you set out to convey with the album, or did the themes emerge as tracks started to come together? Yeah, they merged through each track. I was writing each lyric on its own but towards the end, when most of the songs were ready, I did think more and more about a certain theme and how the lyrics had common threads. I chose the title “Vestiges and Claws” which is taken from the song ‘What Will’: vestiges being a concept that I find useful to describe our ideological and cultural baggage, and claws being a metaphor for tools, both technical or ideas. I have this global point of view on many of the lyrics. When you discuss cultural practises do you include religious practises in that as well? Yeah. I mean, a cultural vestige could be everything from how you put different foods in the refrigerator to you know, female genital mutilation. So yeah, of course there are cultural vestiges that are associated with some religious practices, but I wouldn’t say [it discusses] religion in general, because it’s too big of an umbrella word. I’m an atheist; I like humanism and I dislike whenever anyone tries to talk about ethics and morals from the perspective of a divine creator. But, having said that, my music is meant for anyone to hear and whenever I’m writing lyrics I am trying to write in a way that can be interpreted in different ways. On ‘Every Age’ you sing about making the best of this short-lived state, which feels quite an optimistic message. Yeah, it is meant to be optimistic... and serious in a way. Are these themes things that have always preoccupied you, or is it something that you’re becoming increasingly interested in as you mature? Yeah, I think I first started thinking along these lines on In Our Nature. I was thinking of human nature and religion in a song like ‘Abram’, so there’s this natural continuation. And I guess, with the years, I’ve become much more interested in sociology, psychology and philosophy. I also think it’s interesting when the world view of someone leads into politics. I think my lyrics are more on a general level – and there are a lot of metaphors so they’re more like poems or art – but it could be political depending on who’s listening. Vestiges and Claws has been billed by some as the third part of an acoustic trilogy. Do you view it in that way? So you don’t see this as the end of a chapter? No, I’m sure I’ll continue writing similar songs, but it’s nice for me to think of this album as the third part, so it’s not like I need to do more albums with acoustic songs and similar artwork. I probably will continue [to make acoustic songs] but I feel like these three albums sit together nicely. This year is dedicated to touring, so I’ll be playing in Europe, North America and then festivals during the summer. I haven’t decided yet where to go in the autumn – probably Australia and Latin America – but I’m looking forward to perform these songs from this album. Also, I’m looking forward to continue with writing music pretty soon. I’ve been releasing almost every three years; it would be nice to release a bit more often.